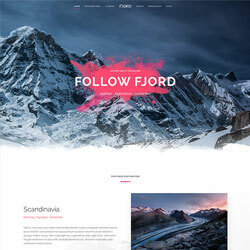 One day after the release of YOOtheme Pro 1.3 we'd like to present to you our newest website Fjord. Apart from all the newest website builder features, it comes with a richer design and some enhanced Pro elements. 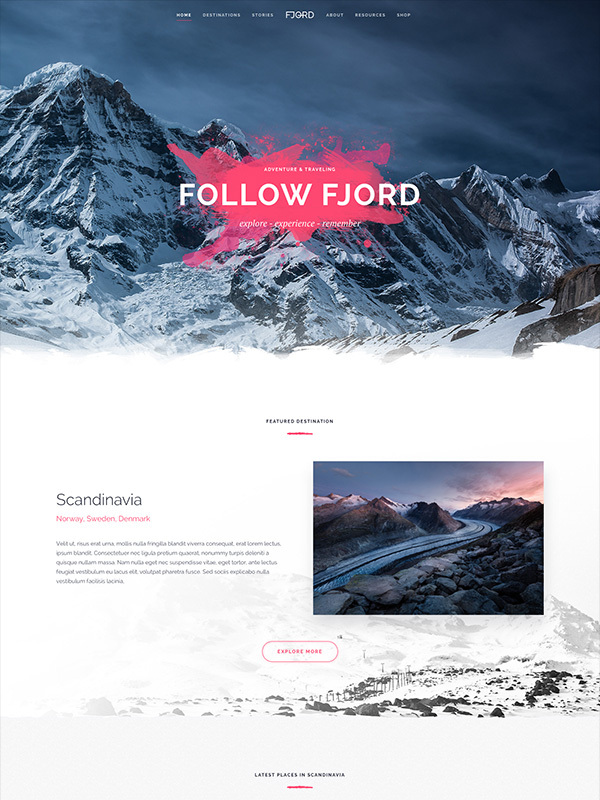 With its vibrant colors, subtle gradients and textures, Fjord is perfect for magazine-like travel and adventure themed websites, but can also be used for any other web project. Like all websites, Fjord comes with its own style. This time, we decided to merge the popular Material design principles with modern skeuomorphism – creating a hybrid of fresh colors, smooth shadows and textures on sections. Subtle gradients enhance the Button, Card, Overlay and Section components.